Nuka World offers fun and games for all ages! 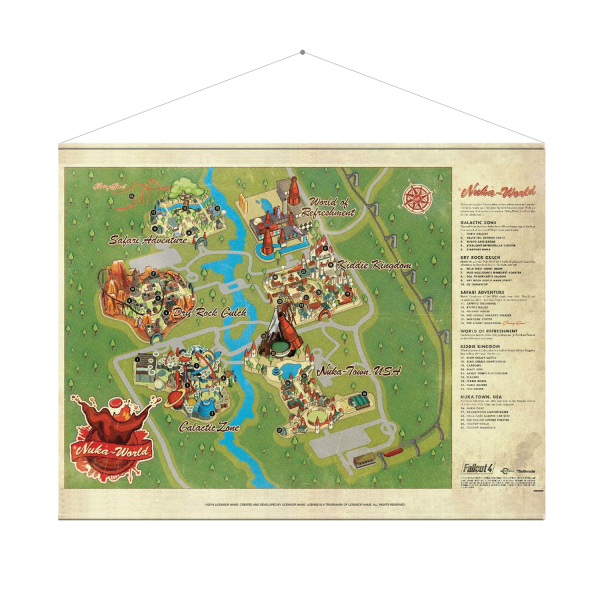 In case you want to make sure that you don't get lost, you should get this 77x100cm wallscroll which shows a detailed map (with guide!) of the theme park. Wallscrolls are the better posters: Elaborately printed polyester canvas between two aluminum rods ensures long-lasting joy without the risk of wrinkles or creases. Manufactured by Gaya Entertainment.